Donizetti’s comic jewel sparkles with the polish of four highly talented, perfectly cast singers. 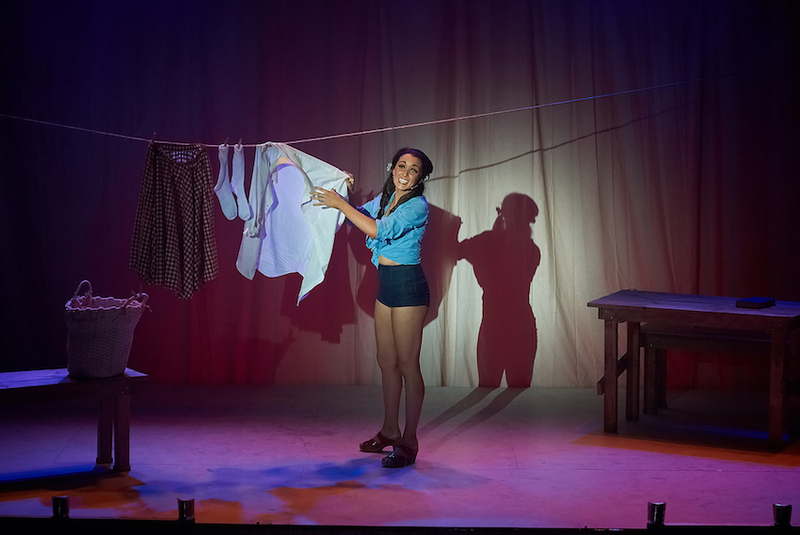 Set ten years after the bleak oppression of Nazi occupation, Roger Hodgman’s breezy update of Don Pasquale is a sunny sequel, of sorts, to stable mate Tosca, showing that everything turns out fine for the eternal city of Rome. A delightfully entertaining mash up of commedia dell’arte, opera buffa and bel canto, the opera sees misanthropic Don Pasquale seek to teach his nephew Ernesto a lesson by taking a young bride so as to leave an heir. The tables are turned when Dr Malatesta introduces his virginal sister Sophronia, who is really Ernesto’s true love, Norina. The (faux) ring on her finger, Sophronia lets fly on the household, spending money by the bucket and driving the Don to relent on his ill will so Ernesto and Norina can be happily, and wealthily, coupled. The success of the comedy comes from Hodgman’s restraint and invention. Daffy physical comedy abounds, but all humour derives clearly from the characters and situation; there is never any danger of going too far. (Simon Phillips’ The Turk in Italy could have benefitted from such an approach.) 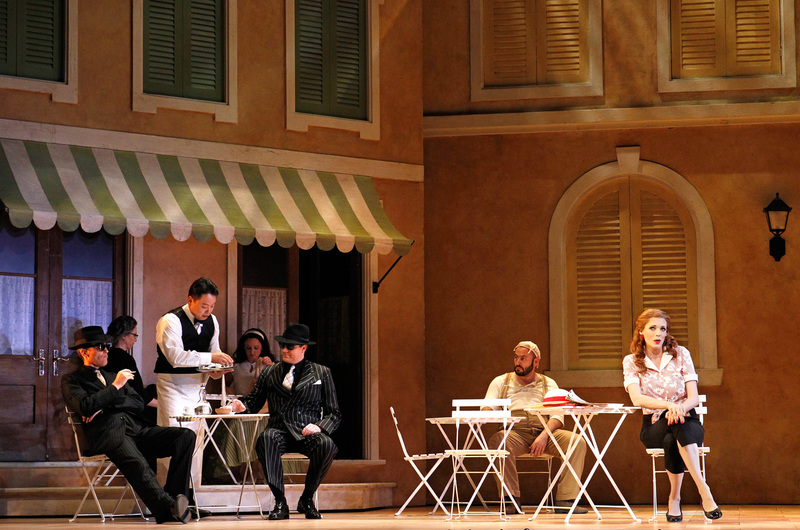 This grounding in realism, despite the potentially heightened scenario, reaches a significant and emotional payoff when the demoralising sting of Norina slapping Don Pasquale is keenly felt. Inspired by the capricious and carefree time of Roman Holiday, Richard Roberts uses a sun-bleached palette of muted pastels to create a nostalgic technicolor glow. The tone is nicely set when Malatesta cruises onstage during the overture in a real Vespa. Clever use of three triangular rotating buildings creates three distinct, but related, settings, with two further buildings upstage for added visual appeal and depth. 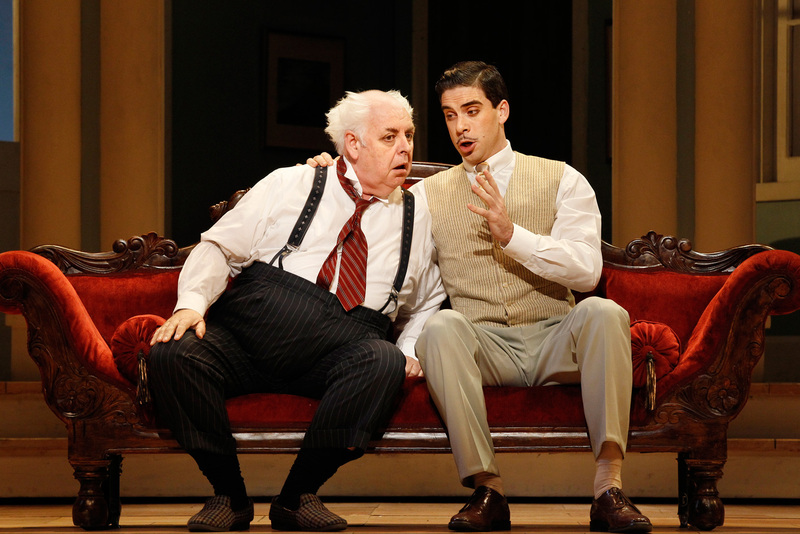 Roberts dresses Don Pasquale as a huffy Humpty Highpants, with younger charges Ernesto and Malatesta looking far more dapper. Norina’s hair, jewellery and costume changes chart her course from local girl to woman of means; her darkly shimmering French Navy gown is particularly exquisite. Variety in chorus costuming creates a sense of life in the local village, and the rainbow of pastels for the smart uniforms of the newly appointed household staff clearly shows how far Sophronia’s lavish overspending has gone. 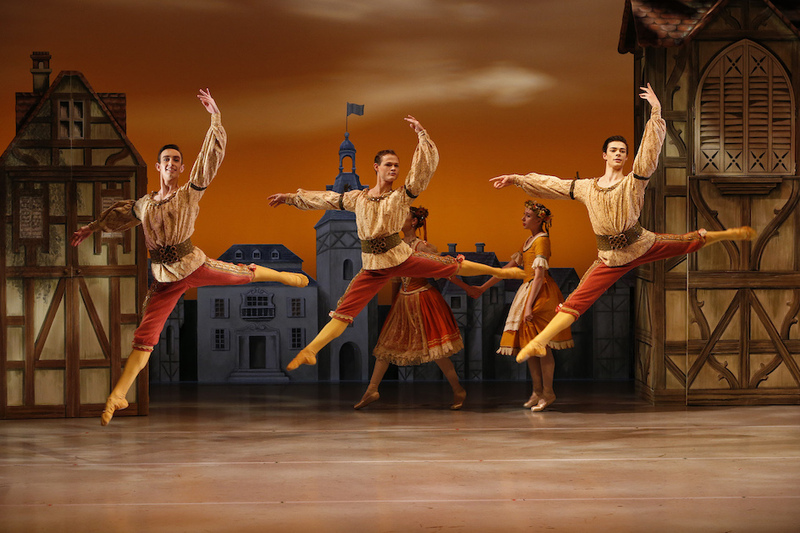 Regular patrons of Met Opera live in HD screenings will be well acquainted with the backstage interviews, an aspect of which always includes the stars speaking in their native tongue to their home countries. Watching La Cenerentola in June, the ripple of surprise that ran across the cinema when the lovely young soprano playing Clorinda spoke in an Australian accent indicated just how unfamiliar local audiences are with extraordinary talent Rachelle Durkin. A gifted comedienne who brings to mind a young Lucille Ball, Durkin has masterful control of her facial and bodily expression in creating delightful physical comedy. An attractive and statuesque young woman, Durkin’s crowning glory is the liquid beauty of her voluptuous soprano, which seems to grow in lustre and appeal at each performance. There is a palpable lift in energy whenever Durkin graces the stage, and her presence is a definite attraction to catching this production. 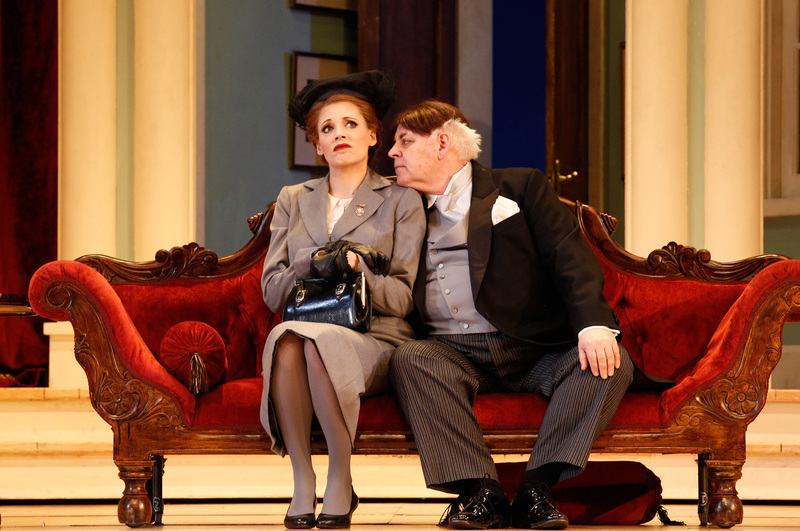 Cherished opera veteran Conal Coad is supremely authentic as Don Pasquale, proving a great sport in the comic shenanigans and displaying an unflagging power of projection in his well-preserved bass. Barihunk Samuel Dundas is a suave Dr Malatesta, capturing the wicked twinkle of the doctor as his schemes come to fruition. Dundas’ pure, unblemished baritone voice is perfectly suited to bel canto singing and is a pleasure to hear. Dundas and Coad’s pristine rapid patter in “Aspetta, aspetta, cara sposina” is a real showstopper. 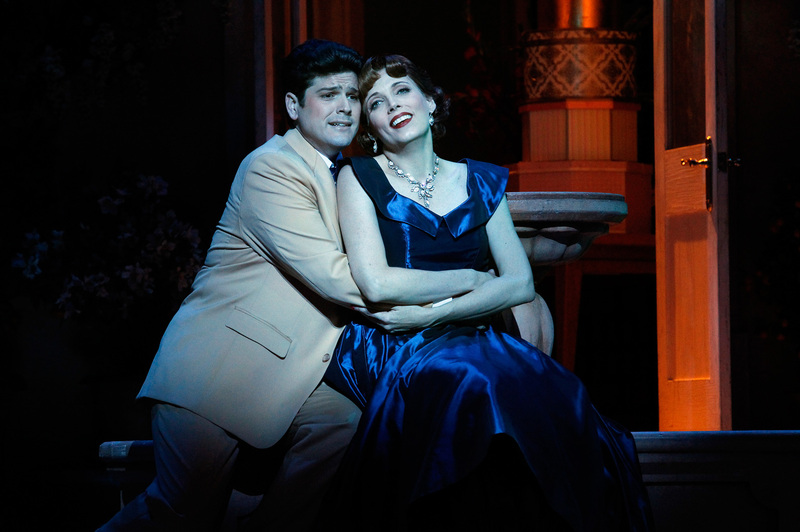 Burgeoning tenor John Longmuir exhibits the delicious tone of his golden voice that makes him a natural successor to David Hobson’s reign as romantic tenor lead. Although his high notes were not in strongest possible form on opening night, Longmuir’s middle register was strong and his characterisation of Ernesto is engagingly sincere. 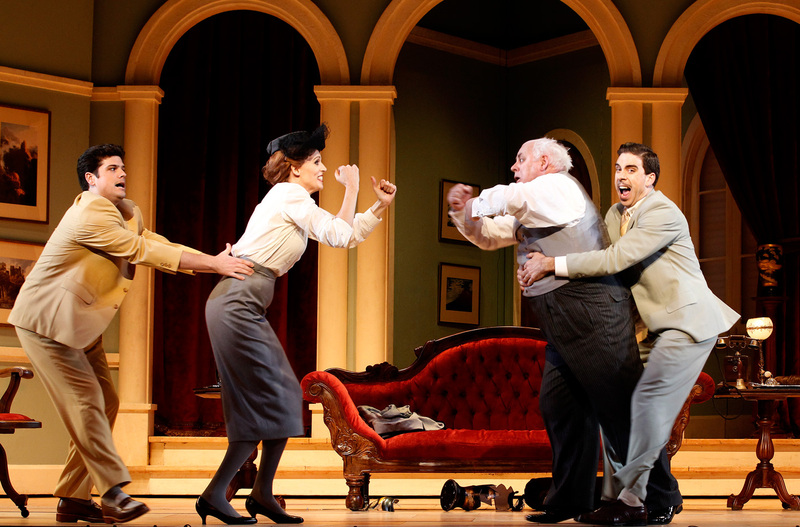 Rather than having a quick sing then absconding home, the chorus comes to the fore in act three as the staff comment on the Don’s financial and marital woes. Well prepared by chorus master Anthony Hunt, the chorus impress with moments of uniform pianissimo and crisp changes of dynamic. 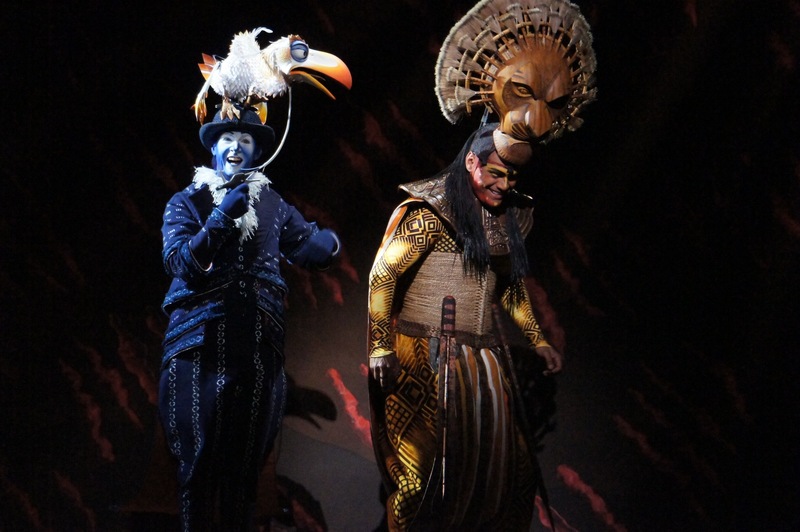 The singers enhance their stage time by creating a colourful range of characters. 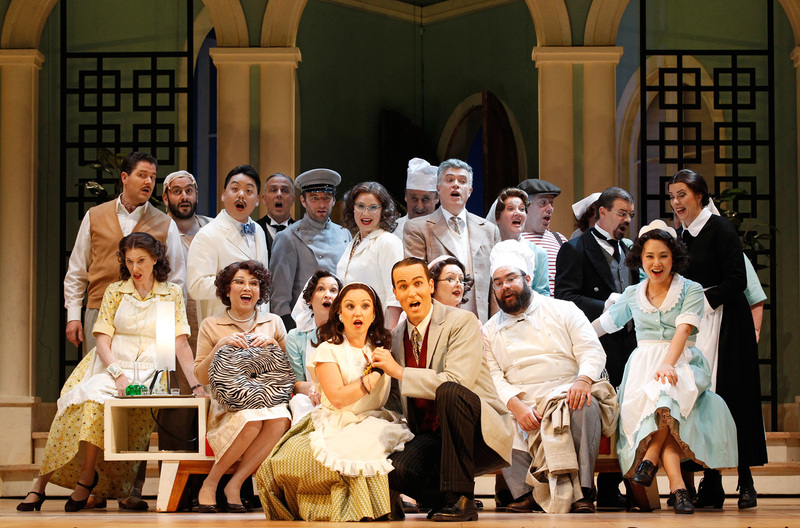 An ideal, highly accessible introduction to opera, Don Pasquale overflows with melody, comedy and style. 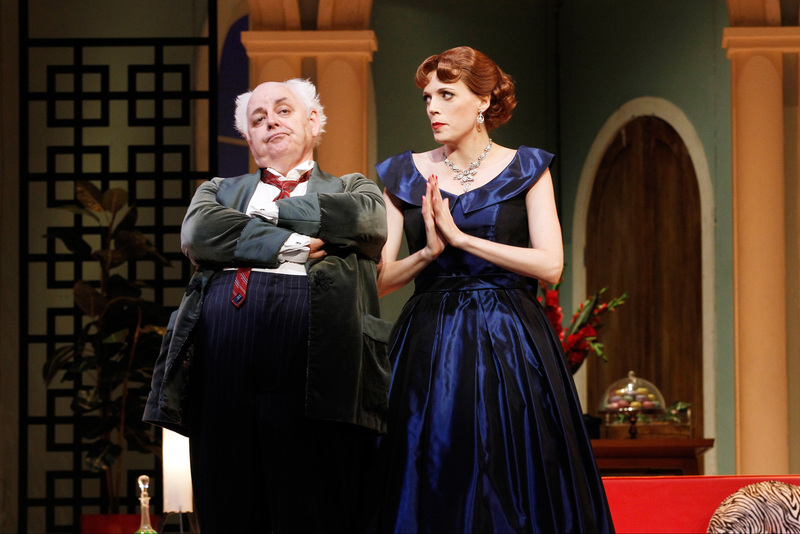 Don Pasquale plays at State Theatre, Arts Centre Melbourne until 12 December 2014.